— More than a half century after the first NASA astronauts launched into space, one might think that there are no sweeping narratives left untold about the early years of the U.S. space program. But there was at least one history remaining to be written: that of the women, and in particular the African-American women, who worked as the "human computers" at NASA's original research laboratory, who provided the calculations necessary for sending American spacecraft and astronauts into space and to the moon. It is not that the women of West Computing at the Langley Research Center in Hampton, Virginia, were more crucial than their white woman counterparts in East Computing, or even the largely white and almost entirely male engineers who both divisions of women mathematicians supported at Langley. Nor were they more important to the program's early success than the teams who staffed Mission Control or, for that matter, the astronauts rode their work into orbit. The women, themselves, would be the first to ensure that was clear. 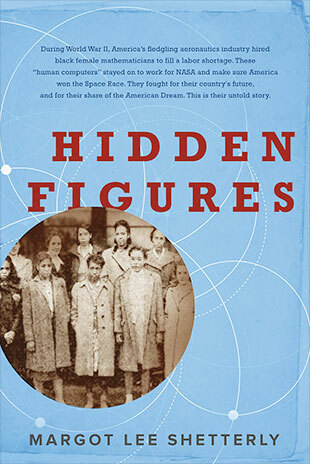 Rather it's their story, now documented within the pages of journalist and researcher Margot Lee Shetterly's "Hidden Figures: The American Dream and the Untold Story of the Black Women Mathematicians Who Helped Win the Space Race" (William Morrow), that helps re-integrate the history of the women's rights and civil rights movements within the history of the space program. These women, including Dorothy Vaughan, Mary Jackson and Katherine Johnson, were hidden from that history until recently. Or, as Shetterly writes in the book, not hidden but waiting to be found. "The title of this book is something of a misnomer. The history that has come together in these pages wasn't so much hidden as unseen — fragments patiently biding their time in footnotes and family anecdotes and musty folders before returning to view," she explains. And now that history is not just being revealed in the book. Adapted for film even before Shetterly finished her writing, 20th Century Fox will release in January, "Hidden Figures," a movie starring actors Taraji P. Henson, Octavia Spencer, Janelle Monae, Kevin Costner and Kirsten Dunst. 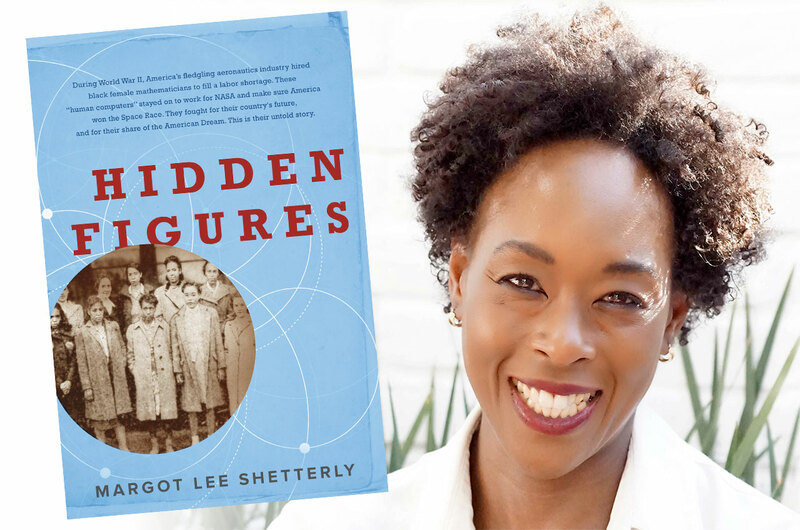 collectSPACE recently spoke with Shetterly about how she came to author "Hidden Figures" and why it was an untold history until now. collectSPACE: Though there have been books before that have discussed the space race within the larger context of the years when it occurred, few have focused in any detail how the civil rights and women's rights movements were as much of a factor at NASA as they were for the nation as a whole. What led you to recognizing this story and why do you think it has gone largely untold until now? Margot Lee Shetterly: I think it was because those things connect, but not in obvious ways — it just so happens they connect to my life. All of those stories directly pertain to my background and history and so in a way, writing about those was a way of me exploring how I came about. I grew up in Hampton, my dad worked at NASA, there were tons of people around who worked at NASA and there was the African-American history. And I think another part of it was that we tend to put these histories in silos. Sometimes you will read a story about women and it's "women's history." You'll read a story about African Americans and it's "African-American history." You will read a story about space and it is "space history." And all of those things are American history. There is no reason for us to isolate them and see them as separate when they are all part of the same thing. The way I see it, and the way I hope people will see this book and the movie, is that this is "capital 'H'" history that happens to be told through the eyes of these protagonists who are African American women. Or you could say this is "capital H" history that happens to be told through the eyes of a bunch of mathematicians. This is History that happens to be told from the point of view of people who became a space program. But it is all capital 'H' American History. collectSPACE: There are people who worked at NASA at the time who today say they were unaware of the women, or at least were unaware of how many of them there were. Did you run into this during your research? Were there any communities who knew of the women already? Shetterly: In Hampton, where I grew up, so many people knew about this story, knew about these women — black women, white women, women. They knew because it was like, "Oh! My grandma used to work at NASA" or "My mom worked at NASA" or "The lady at church worked at NASA." So they knew about the story but most of them were like me, it was just normal. As a kid I'd think, "My dad works at NASA, he's a research scientist. Great, everybody's got a job, and that's what they do." Normal! There were people in the area, and particularly now since the women have passed away, who were either unfamiliar with the story or were like, "Wow, we didn't think it was that important." But strangely, outside of Hampton Roads, the public is like, "I just can't believe this story I had no idea!" Or, even at NASA, "Well, I didn't really know." Even some of the NASA historians I spoke with were like, "I kind of thought there were a couple of women who were doing this," but they did not know the scope or the extent of it. This was something that started in 1935 when the five computers were hired at Langley. I think there were just so many little bits and pieces to this story hidden in different places, and the people who were doing it, these women, and engineers even, who were just doing their jobs. It was totally normal, like, "Yeah, I was called up by my country to be a mathematician and that is what I did and that's it." So I think for any number of reasons, people either knew about it and did not think it was a big deal or they had not found it. But there were so many women doing this work. There were women computers at NASA Glenn [Research Center in Cleveland], obviously in Houston and there were women at Ames [Research Center in Moffett Field, Calif.]. They were the computers. There were just a ton of women and it was no big deal kind of. collectSPACE: In addition to being about these women, it is also a story about their being the computers, first for the National Advisory Committee for Aeronautics (NACA) and then for NASA. How did you decide how much to devote to the technical details of their work, and in a greater sense, the work being done at Langley? Shetterly: Part of the thing about writing it was figuring out how much technical information to include. I had a lot of learning to do, but I thought the science was interesting. It is obviously critical to a key part of the story, but I had to figure out how interesting it would be to the general reader. I started working on it in 2010. I would say it probably took three years of just research for me to just figure out how to tell the story. Really digging into these different strands of Virginia history, the history of these women. When it started out, the obvious person to tell the story, to be the protagonist, was Katherine Johnson. I had known her growing up and within the Virginia and NASA Langely communities people knew her name. She was the obvious place to start. But this is a huge story. There were so many women. I think a lot of people, even now, kind of think [Johnson] was the only woman, or the only black computer, and there are so many women, black, white and other, who did this job. It took a really long time of unearthing the details of all of these women, learning enough about the actual work that was going on at the time that Langley was doing. Going into these research reports and kind of connecting the dots with these women. And reading up on my Virginia history. There is so much about Hampton that I didn't really know about Virginia and about World War II. That for me, was the most fascinating part of it. So it took a really long time to get all this information and then it took a long time to figure out how to carve it back. I think the first iteration of the book was a little more geeky. It was more about NASA and a technical history. It took time to figure out how to tell all the stories, to weave them together as one narrative and to tell it as much as I could through the eyes of the women as the protagonists of the story. It took a long time to unearth this narrative from what was an overwhelming amount of historical and technical information. collectSPACE: The book, as now published, includes only one photograph of the women — on the cover of the book — and you mention in "Hidden Figures" of only being able to find one photograph of the West Computing section. Do you think the lack of imagery contributed to the story going untold? If a greater photo archive existed, would they have been better known by now? Shetterly: In a way, NASA was amazing in terms of overall photographic documentation. I cannot even tell you how many hours I spent looking at photos of wind tunnels and buildings, just trying to really understand the physical plan at [Langley]. So in that sense, there was a lot. And there were a lot of photographs of the John Beckers [aerodynamicists] and Gene Kranzes [flight directors] and the astronauts, they were the superstars of the universe. There were some photos of the [women], particularly in the later 50s and 60s. These pictures of people standing out in front of their buildings. But in the early days of the 1930s and 40s and the early 50s, it was really only the muckety-muck guys who there were a lot of photos taken. The other people, particularly like the women in the computing pools, there wasn't. It probably would have taken less time or they might have been less hidden, if there was photographic evidence. But on the other hand, there were enough mentions of them in employee newsletters and evidence of them in the local newspapers and a lot about them in the African-American newspapers, in church records, girl scout newsletters and these kind of things. There were enough little details about their lives in the endnotes of research reports to eventually pull this all together. 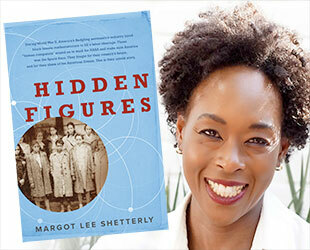 "Hidden Figures" by Margot Lee Shetterly was released by William Morrow, a division of HarperCollins, on Sept. 6.